When you are using fillo pastry for the many types of pie (pítta) there are a few things to remember. Firstly, you need to work fairly quickly, as it does dry out if it is left around open for some time. The first few times, until you get familiar with the techniques, it’s best to keep the bulk of it covered with a piece of cling film. It needs to be brushed well with oil or melted butter – depending on the recipe – or the pies will be quite dry after cooking – and then have a tendency to go soggy when left for a bit. 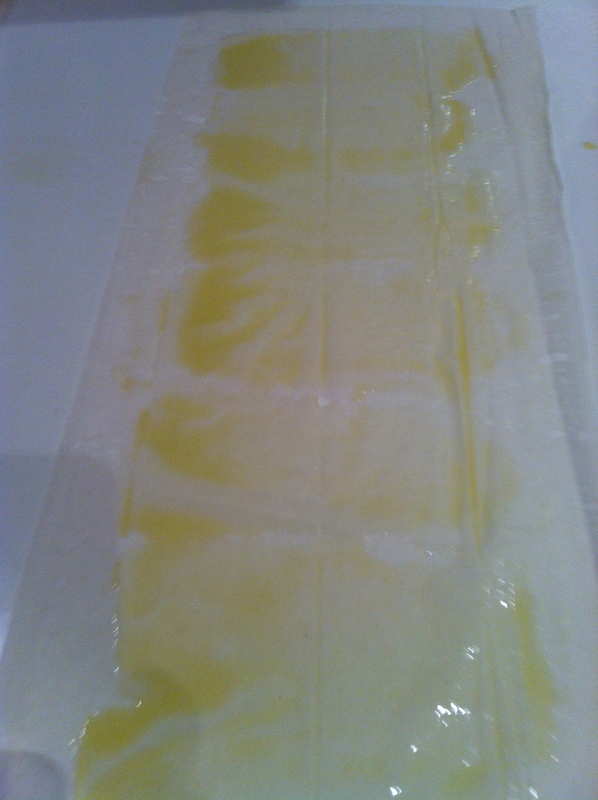 The oil/butter acts a bit like a damp-proof course! 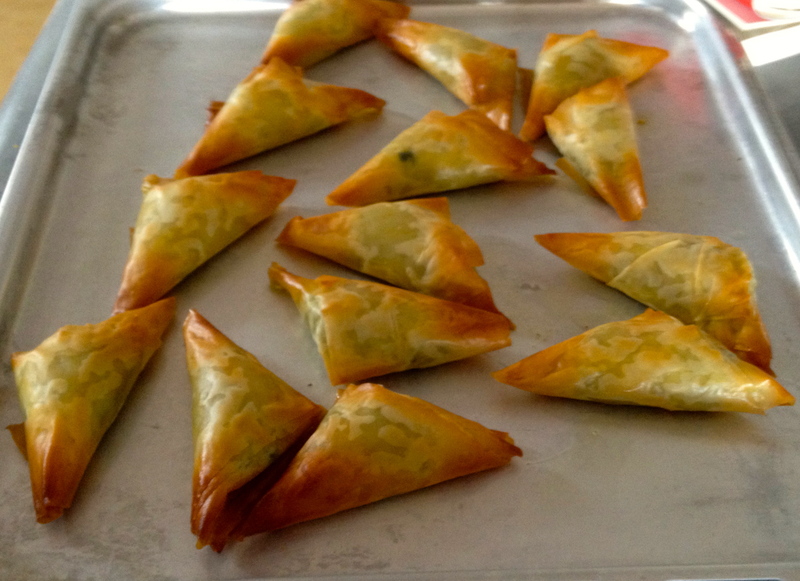 You can make the píttes into various different shapes – triangles or rolls (a bit like a ‘spring roll’!). 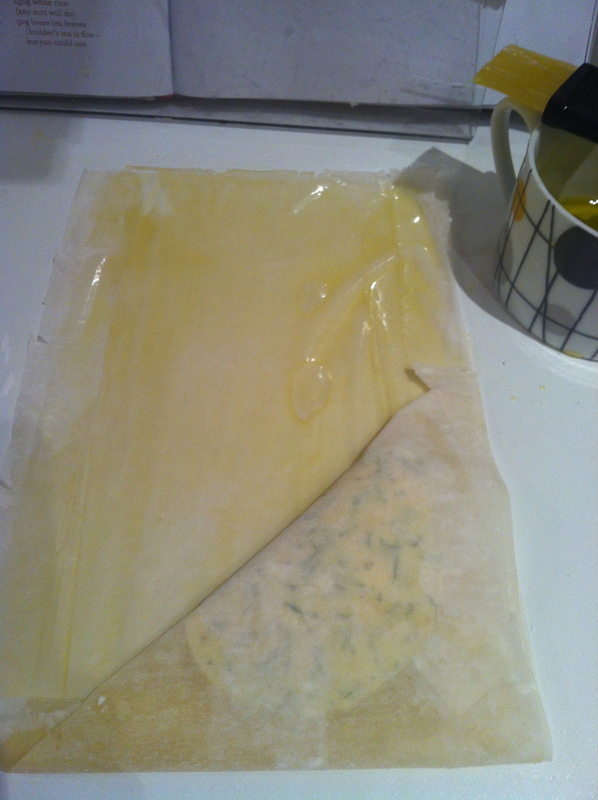 also it can be layered as whole sheets to make the big tray baked píttes. To make the small pies, take a strip of pastry about 8cm x 25cm and brush with olive oil. For the triangles, put a small spoonful of the mixture into one corner and then fold over at angles – almost like folding a flag! For the rolls – ‘bourekia’ – put the spoonful of mixture in the middle of one of the narrow sides of the pastry strip. 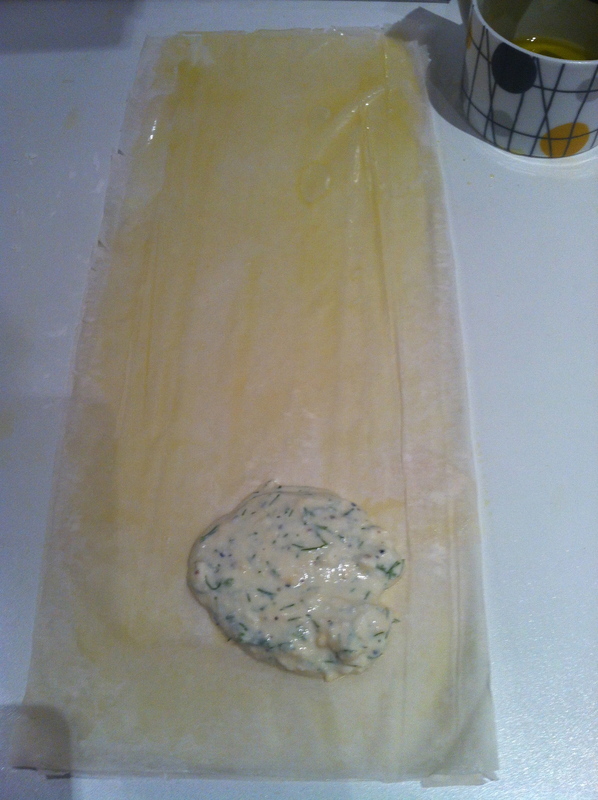 Fold over the sides and then roll the pastry up – like making a wrap. Don’t over fill the small píttes as the mixture usually expands with cooking.